SwissPeaks were running things using an in-house developed project management system which had clearly seen better days. It was reaching the end of its life-cycle and so they came to us in search of something new. Armed with a wealth of knowledge, ideas (and some terrific biscuits), we went to Cannock to begin the climb to project management glory. “We’d known for a while that we needed to update our somewhat archaic project management system. It was creaking a lot and even with some sticking-plaster style repairs, we knew its life expectancy was decreasing. 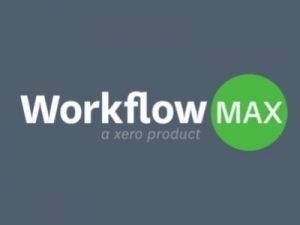 “We called on Phil Oakley from Outserve, who introduced us to WorkFlowMax (a product of Xero) and Capsule and suddenly life looked much rosier. Not only did Phil give us a great introduction to the products but he helped us set up both to a point whereby we are now no longer dependent on an old creaky Access database. If you’re looking for a project management system that really performs, then maybe WorkFlowMax is just what you need. Call Outserve today on 01785 244080 to discuss how we can help improve your work-flow situation.